The Romney is truly a versatile breed, as demonstrated by its ability to produce quality meat and wool under diverse climate conditions and management systems. 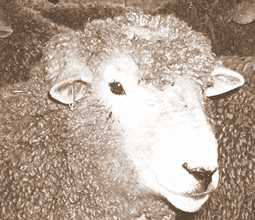 This breed’s quiet disposition, unique fleece characteristics, the flavor and quality of its meat and its lambing percentage make it an excellent choice for purebred, commercial, or crossbred programs. These same characteristics, plus the handspinning qualities of the fleece, also make the breed attractive to the small, or spinners flock. 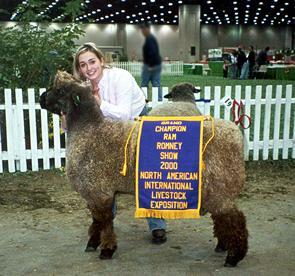 The Romney’s versatility, as a top producer of both meat and wool, has enabled breeders to select for different traits in their breeding programs. Some emphasize large, long-bodied, fast-growing rams to produce market lambs. Others, who market the hot-house or Faster lambs demanded by ethnic markets, may prefer a smaller mature size. The range of acceptable spinning counts allows breeders to select for coarser or finer fleeces, or they may choose to increase overall fleece weights regardless of spinning count. This has enabled the Romney to be adapted to the damp, rainy regions of both coasts, or to the near desert conditions of eastern Washington and Oregon. Numerous flocks boast a lambing rate approaching 200%; other breeders, preferring a range-style operation, may not be as concerned with prolificacy. As a dual-purpose breed, a Romney ram contributes several important traits as a sire. Rams begin to reach sexual maturity at six to seven months of age, and grow into medium-to-large sheep, weighing 175 to 275 pounds as yearlings. Rams are long lived and may still be productive as they near their second decade. A Romney ram can add extra fleece weight to lambs from white-faced or black-faced ewes in a crossbred setting, and in the next generation will help correct the dark fiber found on lambs from black-faced ewes. The offspring of Romney rams are suited to the dual purposes of lamb and wool production. The ram and wether lambs grow well from heavy-milking ewes, where weights of 40 to 70 pounds at 60 days of age are common. Ewes sired by Romney rams make excellent replacements for the commercial flock. They tend to lamb easily, and their higher quality, heavier fleeces are a bonus. 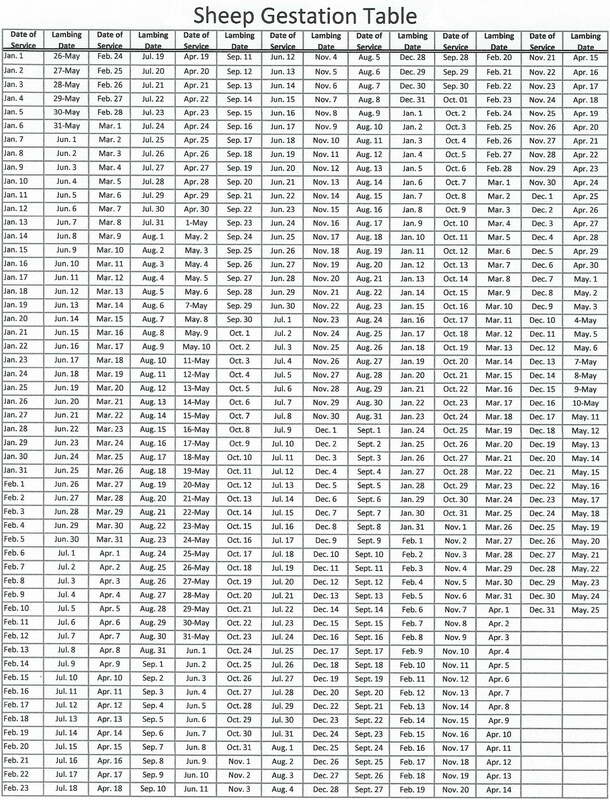 American Romney ewe fertility is repeatedly confirmed by high lambing percentages under varied feed and geographical conditions. Ewes can rear quality, high-scoring market lambs, while producing an 8 to 15 pound wool clip of excellent quality and a high clean yield. Other traits making the Romney a top mother breed are a calm, gentle disposition, prolificacy, milk production, ease of lambing, vigorous lambs, and natural mothering instinct. 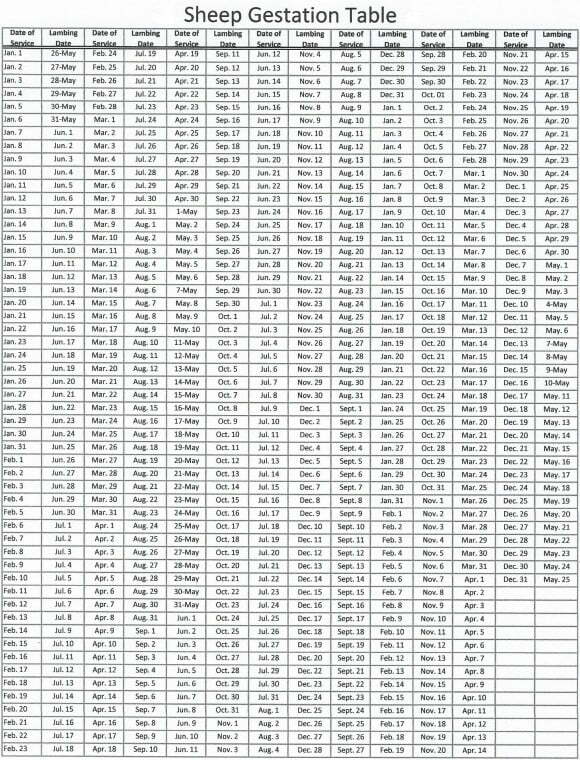 Ewe lambs begin to cycle at 8 to 10 months of age, and mature ewes typically breed from September through January. 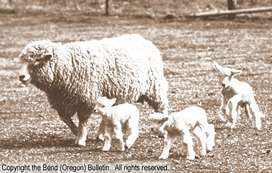 In many flocks, ewes regularly produce twins and can feed triplets with proper nutrition.